Poll: Who would you prefer to succeed Trent Franks? 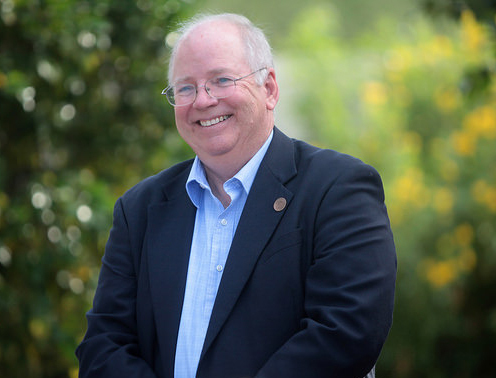 Former Arizona Corporation Commissioner and State Senator Bob Stump tweeted Thursday evening that he will be a candidate for Congress in Arizona’s 8th congressional district. Congressman Trent Franks announced his resignation last night (see statement below) leaving the seat vacant at the end of January, 2018. Governor Doug Ducey will need to call for a special election that will certainly spur several Republican candidates in what is expected to be a competitive Primary contest. The district is heavily Republican. You can follow Bob Stump on Twitter here. Phoenix, AZ – Maricopa County GOP Chairman Chris Herring released the following statement regarding the resignation of Congressman Trent Franks. I have always tried to create a very warm and supportive atmosphere for every last person who has ever worked in my congressional office. It is my deepest conviction that there are many staffers, former and present, who would readily volunteer to substantiate this fact. Given the nature of numerous allegations and reports across America in recent weeks, I want to first make one thing completely clear. I have absolutely never physically intimidated, coerced, or had, or attempted to have, any sexual contact with any member of my congressional staff. However, I do want to take full and personal responsibility for the ways I have broached a topic that, unbeknownst to me until very recently, made certain individuals uncomfortable. And so, I want to shed light on how those conversations came about. My wife and I have long struggled with infertility. We experienced three miscarriages. We pursued adoption on more than one occasion only to have the adoptive mothers in each case change their mind prior to giving birth. A wonderful and loving lady, to whom we will be forever grateful, acted as a gestational surrogate for our twins and was able to carry them successfully to live birth. The process by which they were conceived was a pro-life approach that did not discard or throw away any embryos. My son and daughter are unspeakable gifts of God that have brought us our greatest earthly happiness in the 37 years we have been married. When our twins were approximately 3 years old, we made a second attempt with a second surrogate who was also not genetically related to the child. Sadly, that pregnancy also resulted in miscarriage. We continued to have a desire to have at least one additional sibling, for which our children had made repeated requests. Due to my familiarity and experience with the process of surrogacy, I clearly became insensitive as to how the discussion of such an intensely personal topic might affect others. I have recently learned that the Ethics Committee is reviewing an inquiry regarding my discussion of surrogacy with two previous female subordinates, making each feel uncomfortable. I deeply regret that my discussion of this option and process in the workplace caused distress. We are in an unusual moment in history – there is collective focus on a very important problem of justice and sexual impropriety. It is so important that we get this right for everyone, especially for victims. But in the midst of this current cultural and media climate, I am deeply convinced I would be unable to complete a fair House Ethics investigation before distorted and sensationalized versions of this story would put me, my family, my staff, and my noble colleagues in the House of Representatives through hyperbolized public excoriation. Rather than allow a sensationalized trial by media damage those things I love most, this morning I notified House leadership that I will be leaving Congress as of January 31st, 2018. It is with the greatest sadness, that for the sake of the causes I deeply love, I must now step back from the battle I have spent over three decades fighting. I hope my resignation will remain distinct from the great gains we have made. My time in Congress serving my constituents, America and the Constitution is and will remain one of God’s greatest gift to me in life. 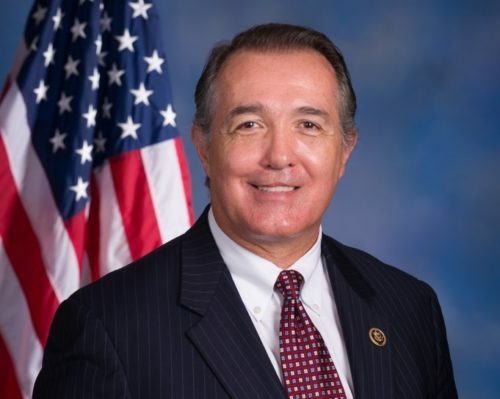 Here is the latest video from Congressman Trent Franks on the NAU shooting. Congressman Franks also addresses why leadership in the US House is changing and what is pushing those changes in leadership. Congressman Trent Franks opposed Kevin McCarthy’s intention to seek House Speaker as a member of the House Freedom Caucus. Franks points out that the Senate filibuster has been the elephant in the room when it comes to what is driving a change in the next Speaker of the House. Here are the results of the straw poll conducted during the January 10th Maricopa County Republican Committee Statutory meeting. The poll gauged precinct committeemen support for the 2016 Presidential candidates and support for the Republican nominee to the US Senate (currently held by John McCain). Twenty-five poll sheets were provided to each of the 20 legislative districts to distribute to the first precinct committeemen to register. The poll was separate from the balloting for officers and resolutions. January 6, 2015 will go down as the largest betrayal of the Arizona Tea Party since its rise in 2009. As expected, John Boehner was re-elected as Speaker of the House but what was not expected was that every Arizona Republican, minus Rep Gosar, would roll over like beaten dogs in yesterday’s vote. Another sad take-away from yesterday’s vote was that Tea Party darling David Schweikert was officially diagnosed with ‘Stockholm Syndrome’ yesterday— we at Arizona Informer wish David a speedy recovery and a long, peaceful retirement from public office. Salmon’s despicable move was a finger in the eye of the Arizona PCs and Conservative activists who spent the last few days burning up the phone-lines locally and in DC explaining their opposition to another 2 years under Speaker Boehner. Earlier this week we declared that Reps Franks, Schweikert, and Salmon were at ‘a time for choosing‘, and today we have that answer. Boehner’s Three Stooges have chosen power and NRCC cash over the will of their own constituents. The only request we have for Representatives Salmon, Franks, Schweikert, and McSally (a lost cause from the start) is stop begging us for money and to call Speaker Boehner to knock on doors and make calls for you come 2016. We understand today that we dedicated conservative grassroots activists are of no value to you. The feeling is now mutual. We’re just glad that everything is now in the open. And to Representative Paul Gosar, THANK YOU! We’re at the ready whenever you need us. ICYMI: The Hugh Hewitt – Doug Ducey Ice Cream Social Interviews! Monday’s live broadcast with Hugh Hewitt and ice cream social with local elected officials was a huge success! I’m grateful to everyone who attended or tuned-in during the three-hour show to learn more about what I want to accomplish as Arizona’s next governor. If you missed it, click the play button or bolded “click here” text below to listen to individual segments from your favorite elected officials. I’d especially like to thank Wisconsin Governor Scott Walker, Congressman Trent Franks, former Senator Jon Kyl, former Congressman John Shadegg, Maricopa County Attorney Bill Montgomery, Arizona State Representative Paul Boyer, City of Phoenix Councilman Sal DiCicco and The Goldwater Institute’s Clint Bolick for joining me and Hugh on-air to discuss Arizona’s future and why they’re supporting my campaign. There was no denying the enthusiasm at this event, for both Arizona’s future and my campaign. I’m confident that with your help, we will see success in August and beyond. Three of Arizona’s five Democrat members of Congress last week joined all four of their Republican colleagues from the state to accomplish what a similar bipartisan majority in the Arizona Legislature did earlier this year: It loaded a badly needed shot in the arm for the small-business owners who generate almost every new job in the state and nation. The U.S. House of Representatives voted to make permanent a tax provision that would allow small businesses to write off up to $500,000 in new equipment purchases, and some improvements to real property, instead of depreciating the costs over time. H.R. 4457, titled America’s Small Business Tax Relief Act of 2014, would provide small businesses with expensing levels that are permanent, predictable and at a level adequate to their needs. This change to Section 179 of the federal tax code, which overwhelmingly passed the House on a 272-144 vote, would prevent the expensing level to fall all the way to $25,000 in 2014, after being at $500,000 from 2010 through 2013. It also indexes the level to inflation. In addition, the House also passed a bill that eases the tax burden on small businesses that change from taxable C-corporate status to S-corporate status. Your local pizza shop owner who might want to install new ovens and countertops that cost $100,000. He could deduct these capital improvements the same year he makes them, instead of waiting for the current 39 years to get his full depreciation. A farmer considering equipment purchases of $300,000 could do so with much more ease, knowing it could all be deducted the year she bought it, instead of only $25,000 of it the first year. A contractor looking to buy two work vehicles costing $60,000 would be more inclined to do so. Under current law, only $35,000 could be deducted—spread over five years—instead of all of it immediately. On June 12, Arizona Democrats Ron Barber, Ann Kirkpatrick and Kyrsten Sinema joined Republicans Paul Gosar, Trent Franks, Matt Salmon and David Schweikert in supporting this pro-jobs legislation. Congressmen Raul Grijalva and Ed Pastor, both Democrats, voted against H.R. 4457. The measure now goes to the U.S. Senate for its consideration. Earlier this year, a similar tax relief act, House Bill 2664, passed the Arizona Legislature with overwhelming bipartisan majorities. The legislation sponsored by state Rep. J.D. Mesnard (R-Chandler) would have created an immediate state income tax allowance, similar to federal Section 179 expensing for qualifying business equipment investments valued up to $500,000. In a tragic misreading of the needs of Arizona’s economy, Gov. Jan Brewer vetoed HB 2664 because “the money would be better utilized” on her spending priorities. Undaunted, NFIB is committed to vigorously lobbying Arizona’s next governor and the new Legislature next session to finally realize our own $500,000 allowance to spur new job creation. Last week’s strong bipartisan House vote to pass H.R. 4457 is very encouraging to small business, especially as demonstrated by the votes of Arizona’s congressional delegation. If Congress and the president do succeed in making it federal law, Arizona’s next governor must match it. If Washington fails, then establishing the small-business expensing allowance in Arizona’s tax code will be all the more critical. 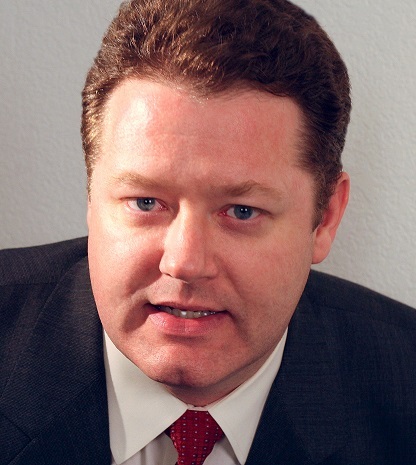 Farrell Quinlan is Arizona state director for the National Federation of Independent Business.